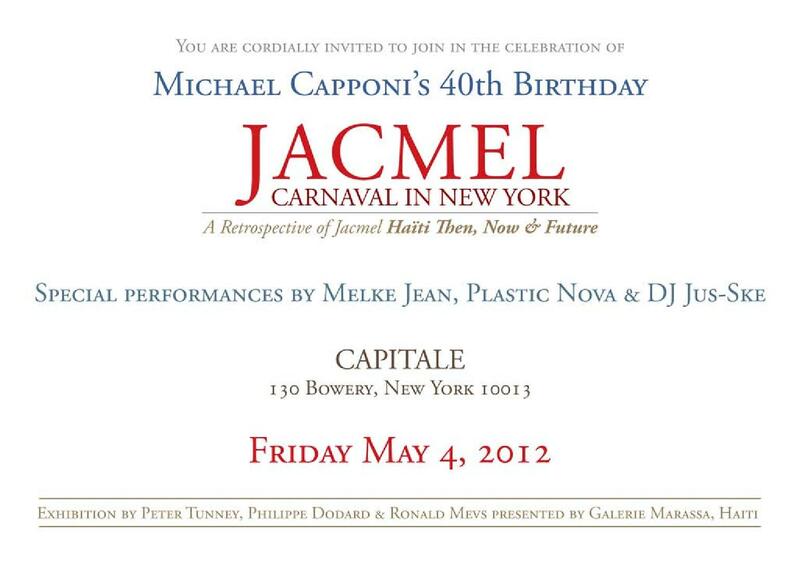 On May 4th, 2012 Donna Karan hosted Michael Capponi’s 40th birthday celebration at Capitale in New York. In lieu of a traditional 40th birthday party, Michael choose to celebrate by having a fundraiser for his Haitian Charity, The Haiti Empowerment Mission. New York came out to celebrate with him, and help raise funds for the charity that provides education, vocational training and job creation. HEM promotes opportunities for the Haitian people, and a self-sufficient sustainable economy. The mission was founded in 2011, and Michael has dedicated over 60 support trips to Haiti since the tragic earthquake in January of 2010. Donna Karan and Urban Zen collaborated with the charity by funding the 2011-2012 school year for the students they provide for. Proceeds from the event and sale of artworks at the event went HEM. Visit the website for more information on the charity and how you can help.